The Washington State Supreme Court recently released its decision in Taylor v. Intuitive Surgical, Inc. where it held that Washington law requires medical device manufacturers to warn hospitals that purchase their products of dangers associated with those products. According to Bloomberg BNA, Washington is the first state to impose such a requirement. As a result, the decision may have a significant effect on medical device manufacturers and their practices. SciPol reports that industry groups, such as the Medical Device Manufacturers Association and the National Association of Manufacturers, believe that the decision may increase the risk for device manufacturers to introduce new products and may lead to reduced innovation in the medical device space. The case involved Intuitive Surgical‘s da Vinci robotic surgical system, which Intuitive explains enables surgeons to perform delicate and complex operations through a few small incisions. 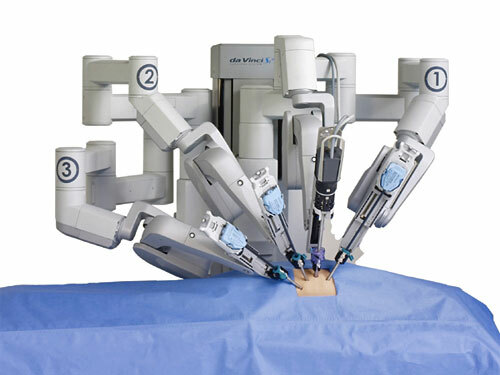 da Vinci is powered by robotic technology that allows the surgeon’s hand movements to be scaled, filtered and translated into precise movements of the EndoWrist instruments working inside the patient’s body. The Plaintiff in the case, Mr. Taylor, claimed to have suffered complications during and as a result of surgery in which the da Vinci surgical system was used. As a result of those complications, Mr. Taylor sued his surgeon and his medical practice and Intuitive Surgical on various theories including “product defect, breach of warranty, breach of contract, violation of Washington’s Consumer Protection Act . . . , negligence, and product liability.” Mr. Taylor claimed that Intuitive Surgical had a duty to warn the hospital about the dangers that are associated with the da Vinci System. However, during trial, the court refused to instruct the jury that Intuitive Surgical had any such duty to warn the hospital. Mr. Taylor appealed the jury’s verdict for Intuitive Surgical. On appeal, the Washington Supreme Court did not decide the merits of many of Mr. Taylor’s claims. Instead, it held that, pursuant to the Washington Product Liability Act (“WPLA”), manufacturers have a duty to warn hospitals about the dangers of their products and that, as such, the lower court erred when it did not instruct the jury on that duty. According to the Court, warnings must be provided to the purchaser of a product, which in Mr. Taylor’s case was the hospital. The Court vacated and remanded the case for further consideration consistent with its holdings. The ruling has been met with mixed reactions. According to Mr. Taylor’s attorney, the decision “brings the law in line with the reality of modern medicine.” But, as Bloomberg notes, both the Medical Device Manufacturers Association and the National Association of Manufacturers cautioned that adopting a new warning requirement could chill medical innovation and harm patients overall. It remains to be seen whether other states will adopt similar rules.